Talia Thornwood's life ended one year ago, when she became a werewolf. She survived the attack, and the horrifying transformation a month later, but the life she has now is barely worth living. She lurks about in a filthy, run-down house, with too many werewolves crammed into too small a space. Every day is a struggle against the stress of human contact, the romantic prodding of her obnoxious packmate Pierce, and the gnawing hunger for flesh in her soul. She's all but resigned herself to a dreary existence on the margins of society when she meets Corwin. Corwin is a werewolf like no other. He walks among humans as if it was nothing, and can keep his wolf under control even when the moon if full. Talia's mind is suddenly opened to the possibilities before her, and the realization of how little she really knows about lycanthropy. Corwin claims that he can teach her how to cope as he does, even how to transcend her affliction. But it will not be easy. It is a hard education that requires her to question everything her pack taught her, and confront exactly what she has become. And, more amazingly, what she never stopped being. 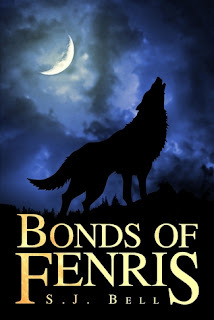 Bonds of Fenris is not exactly your typical werewolf novel. There are werewolves and there is romance, but that isn't what it is about. The romance and paranormal-ness isn't what the main focus of this novel is about. The main topic of this novel is self-knowledge and self-acceptance. It is basically like a coming of age story. There are a few dark themes to this novel, because there are some dark events that happened in the characters lives that they must get through in order to grow. Not only are these young adults paranormal, but they all have things that they need from others and/or must come to terms with before they can accept their new lives and learn to better themselves. 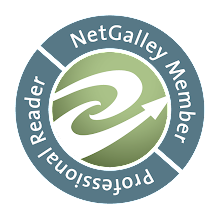 It's a novel about opening up, forgiving and forgetting the past, learning who you are, and learning how to accept who you are. Talia has an amazing group of friends as pack mates and she is very lucky to have these people in her lives, but she and they don't know how lucky they are until their lives start to crumble. That is when Corwin comes in to try and help. He helps them accept who they are learn how to deal with controlling their beastly halves. You will learn a lot about the characters in S.J. Bells novel about what happened to make them who they are, and you will learn how to accept yourself. it is a very beautiful novel. I loved all of the characters in this novel. At first i didn't like Pierce, but after i learned who he really was i started looking at him differently and he grew on me. Talia was flip floppy with me. I really liked her, but then at times i didn't especially when she acted too shy to go after what she wants or acted like she had no clue what she wanted or needed. You definitely feel a lot the emotions coming off the characters when you read it, which i really loved. I also loved the dark themes that took place, because it made it feel much more real instead of just fantasy. I really liked Bonds of Fenris. It is very different from common werewolf novels, because not only is it a romance but it is a coming of age story. It is a story about learning who you are and how to accept yourself. It is a very beautiful story and definitely has darker themes to it, but those made it feel real as if it was happening in real life. I loved the characters that S.J. Bell created and i loved how you could feel the characters emotions along with them. Very good story!